It was only a matter of time until BMW got around to making a big three-row SUV, and that day has arrived in the form of the 2019 X7, which seats six or seven, depending on the second-row configuration you choose. 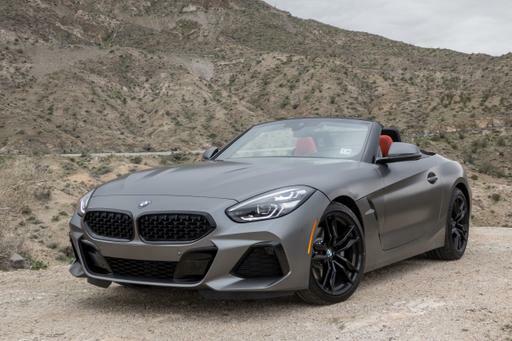 To introduce its latest vehicle, BMW caravanned it across the country from where it's built in Spartanburg, S.C., all the way to the banks of the Pacific Ocean. In that time, I got behind the wheel of both X7 versions: the xDrive40i and xDrive50i. The two come with quite a price gap, starting at $74,895 and $93,595 respectively (prices include destination), though the xDrive50i makes up for it with added standard features and a lot more power under the hood. 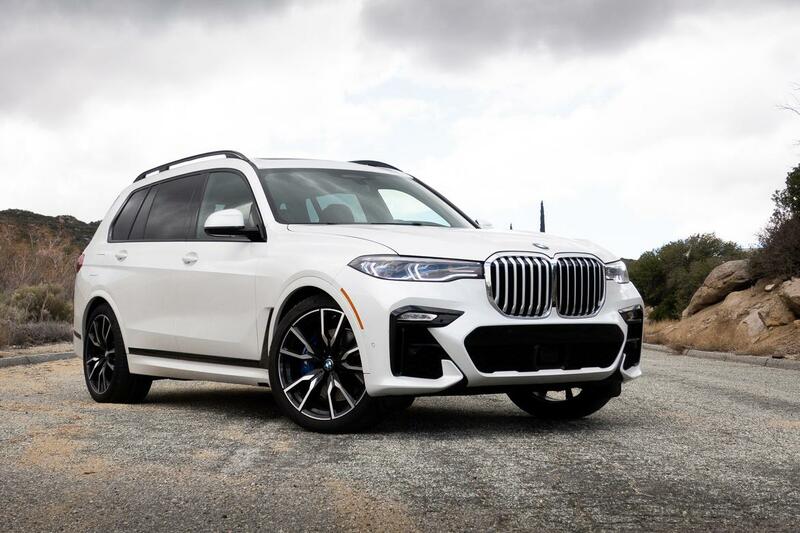 We already knew that the X7's interior was impressive from our time with it at the 2018 Los Angeles Auto Show, so I was excited to see if the big BMW's driving experience could live up to that promise, and how that big interior would handle some passengers. The xDrive40i features a 335-horsepower, turbocharged 3.0-liter inline-six-cylinder engine that makes 330 pounds-feet of torque. The xDrive50i boosts those figures with its 456-hp, twin-turbocharged 4.4-liter V-8 that makes 479 pounds-feet of torque. Both vehicles come with standard all-wheel drive and an eight-speed automatic transmission. There is, as you might guess, quite a difference between the two powertrains. The smaller engine in the xDrive40i still feels adequate and fits the X7 well. That powertrain is familiar, as BMW uses it up and down its lineup from the new 3 Series to the 7 Series and the X5. It is just as good in this application as those, moving the big SUV up and down grades with confidence. The engine did feel a bit more taxed than it has in the sedans and smaller SUVs. Jump up to the xDrive50i and it's a markedly different experience. The big V-8 provides a different level of power and makes the X7 feel more luxurious as a result. Power comes on predictably and fluidly, up and down the rev range, and works harmoniously with the transmission in each of the situations I encountered. Luxury vehicles should feel overpowered to a degree, evoking an ease of use to the driver, and the xDrive50i inspires this feeling much more than the xDrive40i does. There were also a few major suspension differences. The xDrive40i didn't come with any package upgrades to the standard suspension, which is a self-leveling air-spring suspension with adaptive shock absorbers. 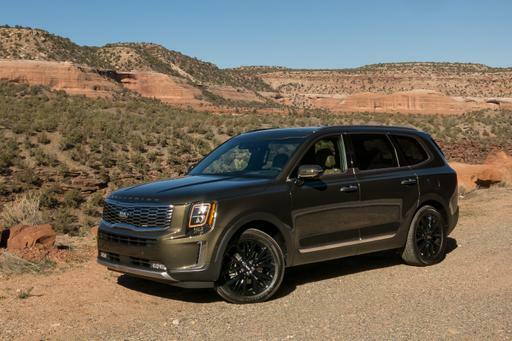 That vehicle rode more like a traditional SUV, with some body roll in the corners and a compliant, comfortable ride. However, the xDrive50i added the Dynamic Handling Package, which includes Active Comfort Drive With Road Preview, along with M Sport brakes, an M Sport differential and integral active steering (four-wheel steering). Active Comfort Drive took the ride to another level, using forward-facing cameras to detect oncoming turns and road imperfections, then preparing the suspension accordingly. 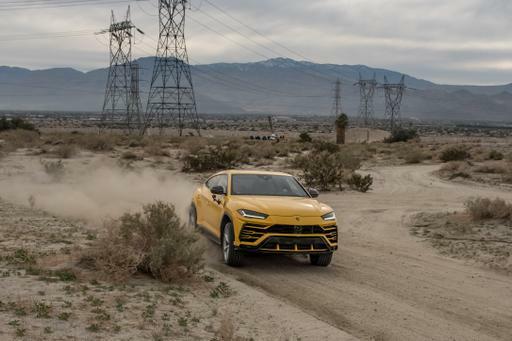 Say, for example, it sees an upcoming turn: The X7's suspension will stiffen to keep the vehicle flat all the way through the turn and out the other side. This system helped the xDrive50i feel more athletic; without the body roll, the whole vehicle had better balance and confidence. A lot of larger vehicles function a bit like airplanes. The seats up front are nice and roomy, but as you move back things get more cramped, the materials get cheaper and legroom disappears. Not so in the X7; the interior is probably the single most impressive thing about the vehicle, and the quality extends across all three rows. The second row, which can be had in either a three-seat bench or captain's chairs (a $600 option), is spacious, well-outfitted and topped by a large panoramic moonroof that opens up the cabin. What's unique about the X7 is that I can say that same thing about the third row as well. Apart from a touch of headroom intrusion closer to the doors, there is plenty of headroom and legroom for adults to fit in the back comfortably. It also gets its own set of climate controls, USB-C device-charging ports and even powered seat adjustments. The second row also features 5.7 inches of travel, forward and back, which gives passengers plenty of wiggle room to figure out how to fit everyone comfortably. 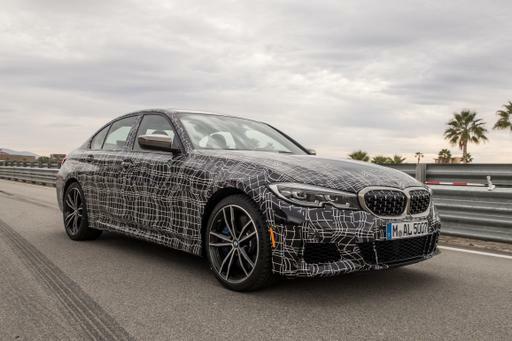 BMW has also outfitted many switches in different parts of the cabin to move the powered seats around, including each rear door and in the cargo area. These switches are helpful, requiring just one press — but the actual movements themselves can take a while. There's also one other caveat to watch out for: If you choose captain's chairs, they don't fold down flat as the bench does (they just tip forward), so you do lose some cargo room. The X7 does come with a long list of standard and available safety features. Blind spot warning, forward automatic emergency braking with pedestrian and cyclist detection, lane departure warning, speed limit information, and front and rear parking sensors all come standard. The xDrive50i does have some separation from the xDrive40i by including standard a 360-degree camera system, a head-up display, lane keep assist, adaptive cruise control and BMW's Extended Traffic Jam Assistant. Each of these safety features made their way onto the xDrive40i model that I tested, so it is possible to outfit the lower model generously as well. 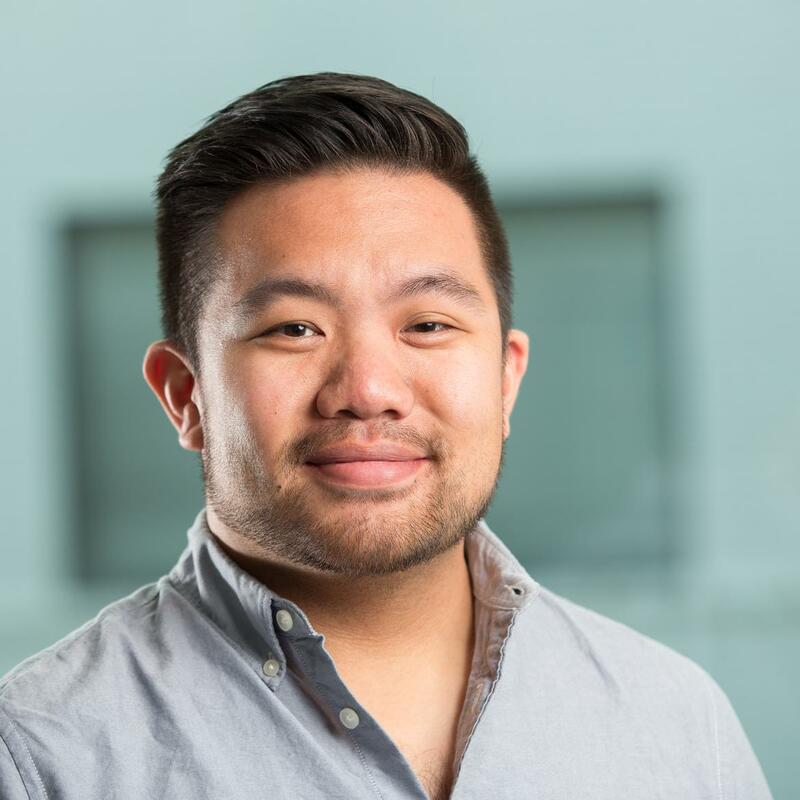 I was most excited to test the Extended Traffic Jam Assistant system as someone who lives in Los Angeles and deals with traffic regularly. In a long stint in bumper-to-bumper traffic down the 405 freeway one morning, the system did a good job with the gas and brakes, but I kept a hand on the wheel anyway. The lane centering wasn't always perfect, especially at higher speeds — the system makes a lot of minor corrections to keep the car close to the center of the lane, which then makes the steering wheel feel busy in your hand. 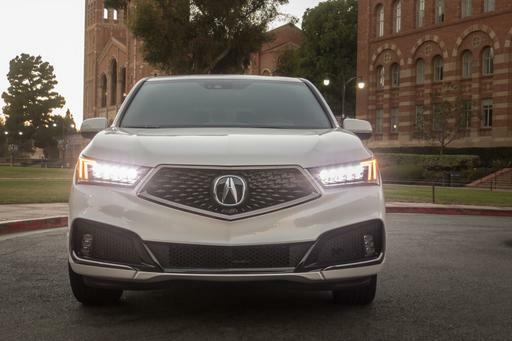 The 2019 X7 checks all the boxes for a large luxury SUV — the ride quality is surprisingly good for a vehicle with 22-inch wheels (wrapped in run-flat tires, no less), and can be taken from good to great with the addition of the Active Comfort Drive feature. Inside, it has a true luxury interior to match its luxury price tag (the xDrive40i I tested stickered at $100,995 and the xDrive50i at $117,645, both including destination charges) and one of my favorite third rows in any vehicle, let alone an SUV. The X7 has the technology, quality and powertrains to be a force to be reckoned with in this class; it's on sale now.